Huge Savings Item! Save 15% on the Coptic Christianity in Ottoman Egypt by Oxford University Press at Translate This Website. Hurry! Limited time offer. Offer valid only while supplies last. In this book, Febe Armanios explores Coptic religious life in Ottoman Egypt (1517-1798), focusing closely on manuscripts housed in Coptic archives. 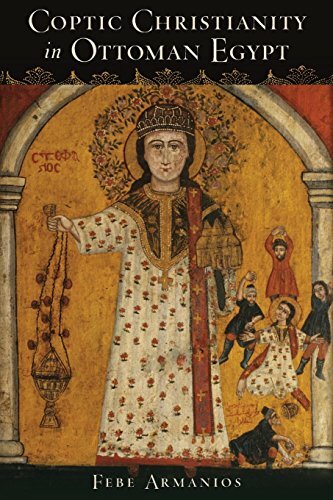 In this book, Febe Armanios explores Coptic religious life in Ottoman Egypt (1517-1798), focusing closely on manuscripts housed in Coptic archives. Ottoman Copts frequently turned to religious discourses, practices, and rituals as they dealt with various transformations in the first centuries of Ottoman rule. These included the establishment of a new political regime, changes within communal leadership structures (favoring lay leaders over clergy), the economic ascent of the archons (lay elites), and developments in the Copts' relationship with other religious communities, particularly with Catholics. Coptic Christianity in Ottoman Egypt highlights how Copts, as a minority living in a dominant Islamic culture, identified and distinguished themselves from other groups by turning to an impressive array of religious traditions, such as the visitation of saints' shrines, the relocation of major festivals to remote destinations, the development of new pilgrimage practices, as well as the writing of sermons that articulated a Coptic religious ethos in reaction to Catholic missionary discourses. Within this discussion of religious life, the Copts' relationship to local political rulers, military elites, the Muslim religious establishment, and to other non-Muslim communities are also elucidated. In all, the book aims to document the Coptic experience within the Ottoman Egyptian context while focusing on new documentary sources and on an historical era that has been long neglected.